Nobody is perfect, and even notaries make mistakes. However, knowing the most common mistakes can be the best way to avoid them. As Notary Signing Agents, we carry a special responsibility to be knowledgeable and prepared for every signing. After all, we are an extension of the lender, so the level thoroughness and accuracy is paramount. Often, we are the only person a borrower will meet face-to-face in the entire loan process. And in dealing with one of the biggest investments they’ll ever make, delaying their closure due to mistakes can be a detriment to your reputation as a notary. Below are the most common errors that can be easily avoided with just a little extra effort. As simple as this sounds, many Notary Signing Agents can get into a habit of assuming all instructions are the same. This often happens when a notary does regular work for the same company. It is easy to fall into a routine, but this is when mistakes occur. 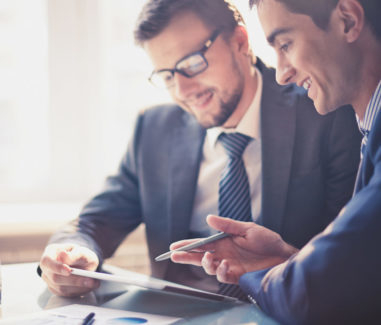 Despite working with the same signing service, it’s important to note that most Lenders have different procedures and requirements. These can range from the way a borrower needs to sign, to the recognized and acceptable forms of ID required. And even after the signing is complete, our job does not end there. Knowing how and when to return the documents is crucial for a successful signing. These potential errors can be fixed by simply READING THE INSTRUCTIONS. Don’t forget, you are not alone in this process and can always reach out for clarification if unsure. Our reputation isn’t hurt by asking questions, but by making mistakes from the questions we fail to ask. In revisiting the problem of assuming all signings are the same; we can have the same issue when it comes to copies. More often than not, there are additional items that require copies depending on the circumstance. These can be missed if you fail to thoroughly read the instructions. For example, lenders may require copies of one or two forms of ID or even credit card statements to be returned with the package. Missing copies can start “natural disasters” and receiving THAT dreaded phone call is easily avoidable by simply being prepared. The easiest step in being truly prepared is to review the documents you plan to sign! Life happens, and while you may not have time to review 200+ pages with a fine tooth comb before rushing to your next appointment, budgeting your time so you can familiarize yourself with the documents is A MUST. The quality of that appointment and the impression you will make comes from being knowledgeable and prepared. And don’t think for a second that signers can’t tell when you’re not prepared. Those 5 star reviews come from borrowers who knew what they were signing, not just where. This especially applies to newer Notary Signing Agents. There is an immense amount of comfort that comes in taking the time to sit down and understand each document. A great tip for all Notary Signing Agents is to use the “sign here” stickers for pages requiring signatures. Not only will this prevent missed signatures, but everyone will appreciate your efforts. It’s the New Year and with that comes…well, a NEW YEAR NUMBER. Luckily, breaking a habit only takes 21 days. So if you’re still writing 2018, you may need to practice on your own timeJ. Now, when it comes to writing signatures, it’s extremely important to remind the borrower(s) to sign EXACTLY as their name appears on the document. Taking your time with each signature page will prevent problems here. One of the many advantages of being a notary is the ability to set your own schedule. Being your own boss gives you many freedoms that regular office jobs simply cannot provide. But with freedom comes responsibility. Many of us are extremely ambitious and we want as much business as we can possibly manage, right? Well, that’s great, so long as we can actually manage it. When we take on too much, book appointments too closely together, and don’t take necessary breaks from the daily grind…this is when mistakes happen. Be reasonable in the expectations you set for yourself. Start slow and then add more as you become a true expert. It’s always better to slowly add until you hit that sweet spot vs. taking on too much and having to backpedal later. We all agree that first impressions are the most impactful ones. However, as a Notary Signing Agent, that first impression starts when you accept a signing and doesn’t end until the signed documents have been received and approved. It’s like the never-ending first impression. The single most important thing you can do to ensure success is to make the effort to be truly prepared for the task at hand. Mistakes will happen, yes-they-will, but you can certainly decrease that likelihood by following the simple guidelines in this article. The more you practice preparedness, the easy it is to get prepared! How to Succeed When You Want To Quit. A Notary Story. 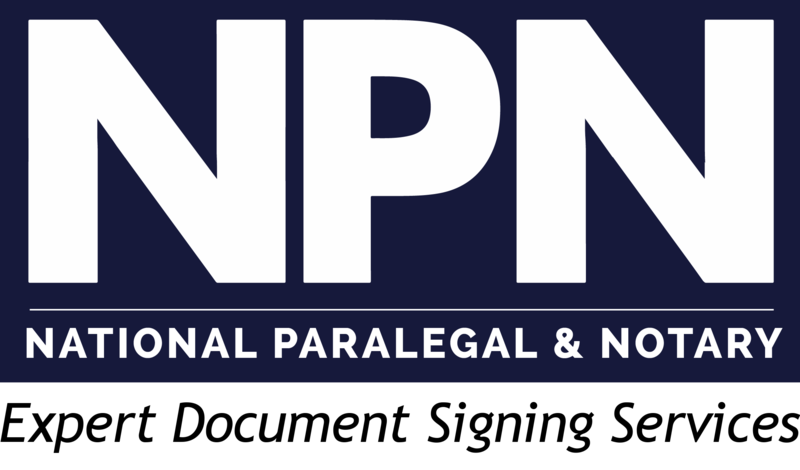 © 2018 National Paralegal & Notary . All rights reserved.